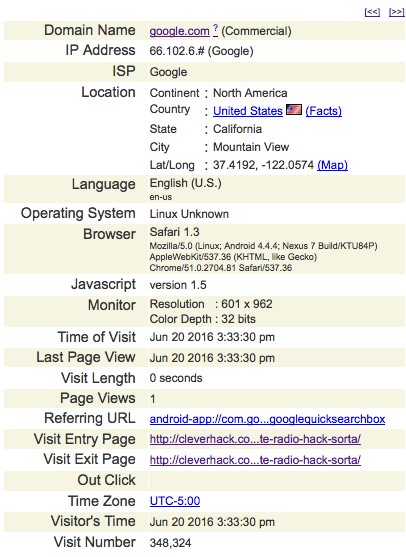 Glancing at the user log, it seems that it’s a referrer from a Google search box within an Android OS app. Here are some observations about the android-app referrer via Webmaster World, and here’s the official Android developer documentation for search. Have you seen the android-app referrer? This entry was posted on Saturday, June 25th, 2016 at 2:49 pm	and is filed under Internet, Web Marketing, SEO. You can follow any responses to this entry through the RSS 2.0 feed. You can skip to the end and leave a response. Pinging is currently not allowed.